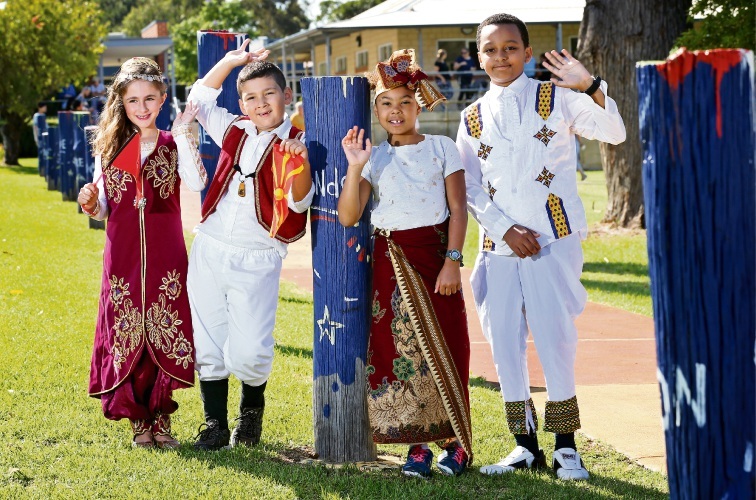 A LOCAL artist drew inspiration from Camboon Primary School’s “multicultural nature” to create an artwork featuring 13 poles. 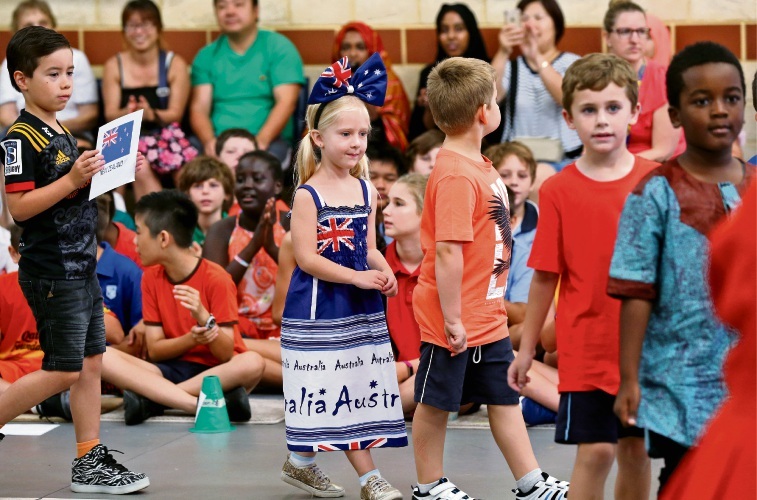 Hayley Welsh’s artwork at the Noranda school also has a paper plane that sends a message from the song, I am Australian. 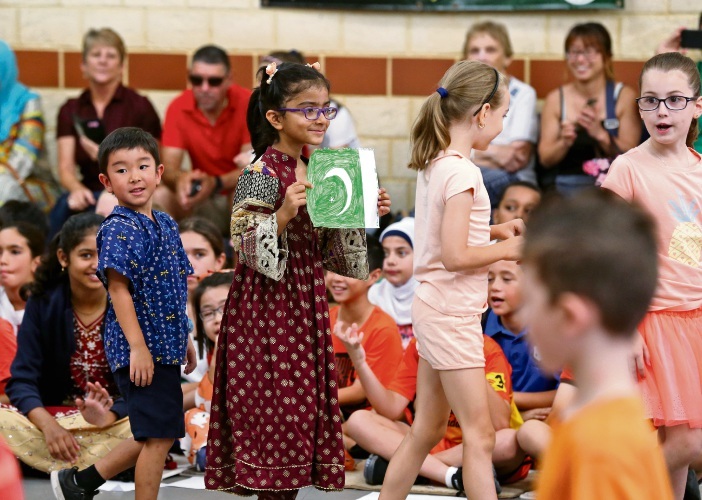 The artwork was launched as part of the school’s Harmony Day celebrations on March 22. 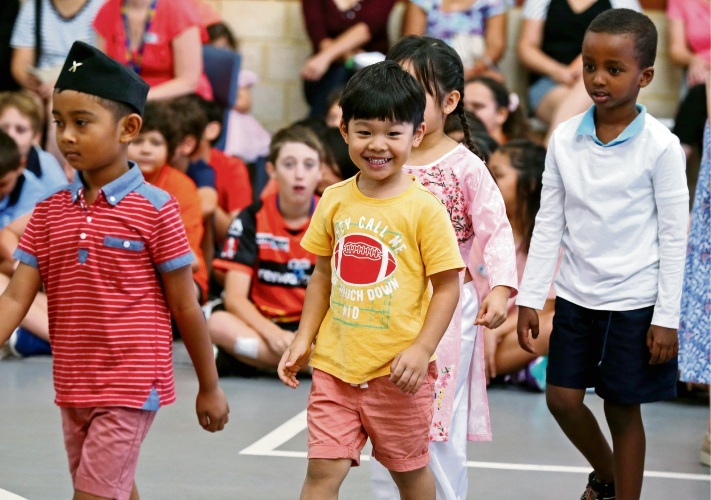 Other celebrations include a cultural dress parade and multicultural lunch. 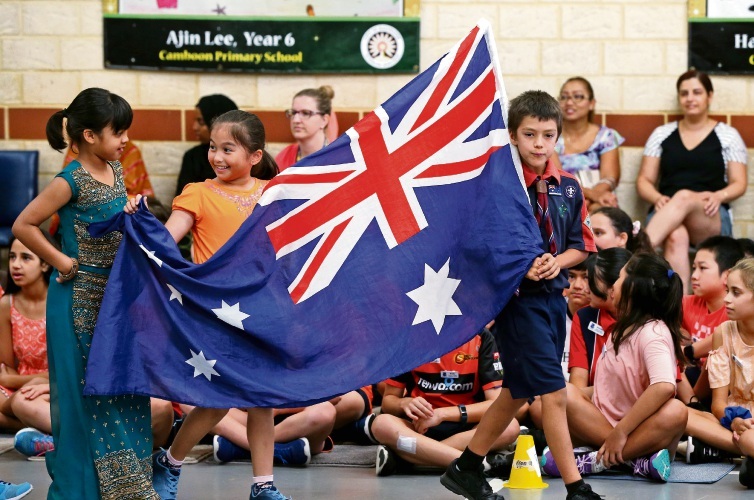 Associate principal Tanya Dique said principal Janice Cuculoska, Principal, liaised with Western Power to have the poles donated in order to form a barrier between the carpark and oval. 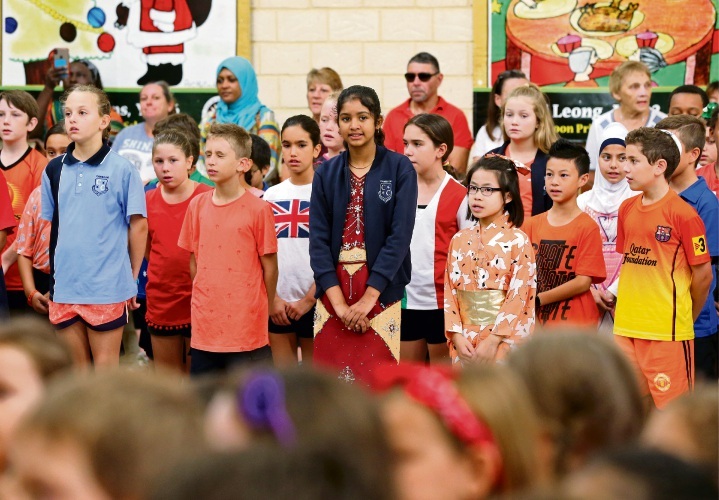 “Once they were erected, staff were keen to see them used in some way to beautify the school,” she said. 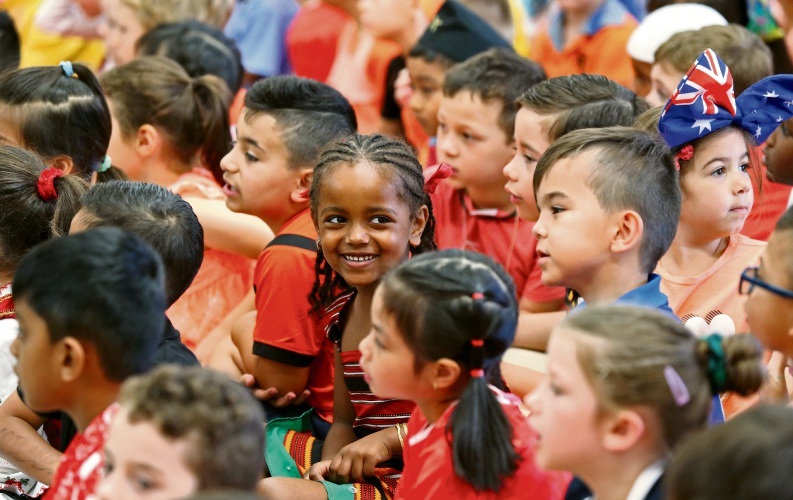 Ms Dique said it was critical that the school fostered tolerance, respect and acceptance of all people. 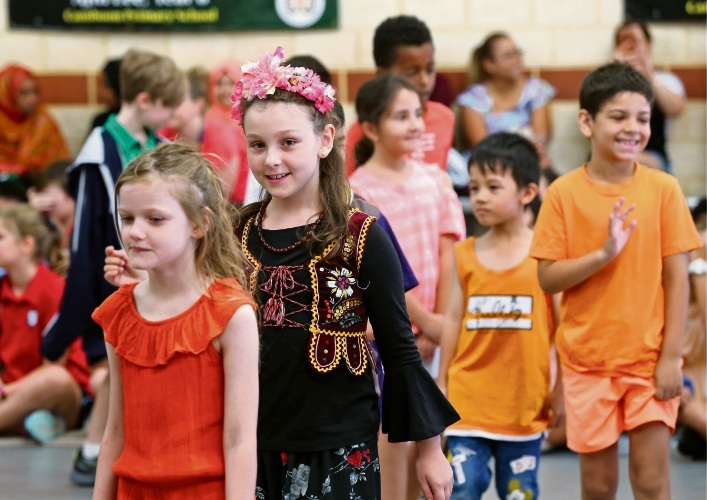 “Camboon Primary School has a population of culturally and linguistically diverse students – more than 38 per cent of whom identify as being from a cultural background other than Australia, and speaking more than 27 different languages,” she said.